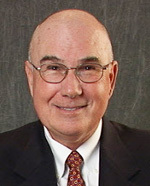 Dr. Bill C. Crafton, D.D.S. A partial denture is useful for a person missing some teeth, but who still has a number of natural teeth. This device also is called a removable prosthesis, and is a means by which artificial replacement teeth are held in the mouth. The prosthesis commonly is kept in place by means of clasps. These are thin finger-like structures, usually made of a special resilient metal alloy or sometimes plastic, that rest upon and wrap around some remaining natural teeth. Clasps keep the prosthesis securely in place, but still allow a person to easily take it out for regular cleaning and proper brushing of remaining natural teeth. Generally, clasp design is reasonably esthetic, and often it is possible for them not to be seen. However, depending upon partial denture design, which is based on mouth conditions, there may be some show of clasps. Often, this is not an appearance problem. However, if avoiding an unacceptable show of clasps would compromise optimal partial denture design, various special attachments sometimes may be employed to do away with conventional clasps. These attachments are more technically complex and often are referred to as precision or semi-precision attachments. How Long Will a Partial Denture Last? Accidents happen, and the mouth is constantly changing. 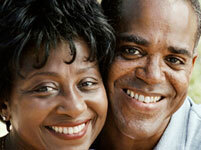 Partial dentures may no longer fit properly, can break or bend, or simply wear out. In fact, there is nothing made for the mouth that is permanent. Fractured clasps and so forth often may be repaired. On average, a partial denture may be expected to last about five years. Depending upon circumstances, certain removable prostheses can last a shorter or longer time. How Often Should a Partial Denture Be Checked? It is best to have a partial denture, as well as the rest of the mouth, checked at six-month intervals. If left uncorrected, small problems can develop into major ones, which could cause disease, loss of teeth, or necessitate premature prosthesis replacement. The jaw ridge that a partial denture rests upon is constantly changing. It is normal and necessary to regularly modify how a partial denture contacts the ridge. This maintenance correction is called relining, and on average, needs to be performed annually for optimal function. However, this is dependent upon how an individual's mouth changes. A licensed dentist can best advise when a reline is needed, and when a reline will no longer adequately restore proper function. In the best of all possible worlds, false teeth last forever. But in fact, over time, the tissues in your mouth change, and even the best replacement teeth won't fit as well as they once did. 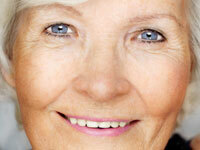 The preferred remedy - a new denture - isn't always feasible or affordable. 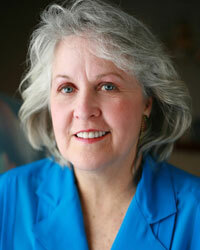 Dentures are expensive - that's why there are denture relines. Albeit a temporary solution to slippery dentures, there is no denying that relining can make a difference in how you look, relieve any soreness and, most of all, bolster your self-confidence. And that's important. So what does relining involve? There are two ways to go about it. A reline can be fashioned by a dental laboratory. Your prosthodontist takes impressions in his/her office, and the lab rebuilds your prosthodontics in about 24 hours. Optionally, they can reform the liner for you in a single visit. The reline material, a kind of plastic, is cast directly in your mouth and allowed to set. A "quick" reline, though, probably won't last as long as the lab-processed version. In any case, you'll gain what is called "vertical dimension," new height to your face. The result is a more youthful appearance, and a renewed sense of control. Call your denturist to schedule an evaluation appointment. Or fill out the search form above to search for a dentist.